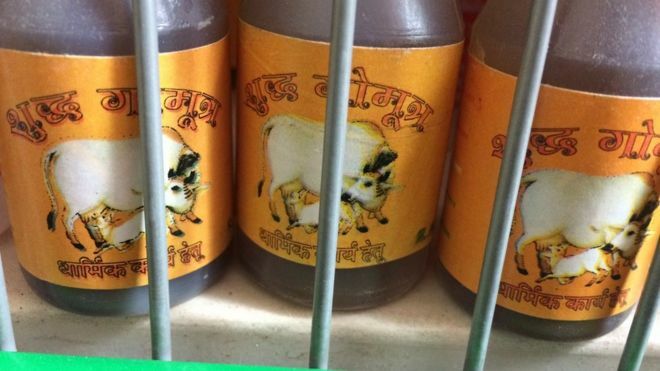 Cow urine is being sold alongside food in convenience stores in London against environmental health advice, the BBC’s Asian Network has found. The liquid is used by worshippers in some Hindu ceremonies – although it is illegal to sell for human consumption in England. 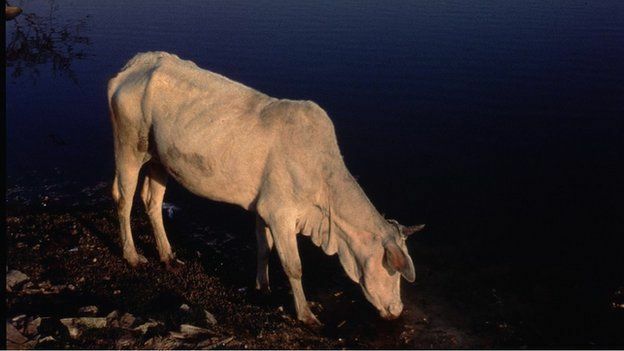 Known as gau mutra, it was found in several shops which also sold food. The Chartered Institute of Environmental Health warned against its sale where food was present. All the bottles found by the BBC had a label in Hindi which said they contained cow urine intended “for religious purposes”. In one shop urine bottles were displayed under a shelf of naan bread. A Hare Krishna temple in Watford, Bhaktivedanta Manor, has a dairy farm which also produces the urine for worshippers. Managing director Gauri Das said the temple had been selling cow urine since the early seventies. “There has been a demand from the South Asian background. They use it for puja’s [religious ritual], medicinal purposes or even cleaning in order to purify things,” he said. “I don’t sell it [the urine] for human consumption. A Foods Standards Agency (FSA) spokesperson said although it is illegal to sell the urine for human consumption, when applied externally it would not be considered food – although it could be subject to other legislation. “If cow urine is on sale for human consumption, the business must be able to prove it is safe,” the Chartered Institute of Environmental Health said. “If the business cannot prove the product is safe then it must not be on sale. A Greenwich Borough Council spokesperson said: “Non-food products of animal origin are strictly regulated to prevent consumers from being exposed to harmful diseases. Posted by Mr. Bloggy on 10/03/2016 in Additives, Alert, Contamination, Cow Urine on sale, Crime Prevention, Food, Health & Safety, News, Public Warning, Safety Warning and tagged Advice, Alert, Crime Prevention, Danger, News, Products, Public Warning.